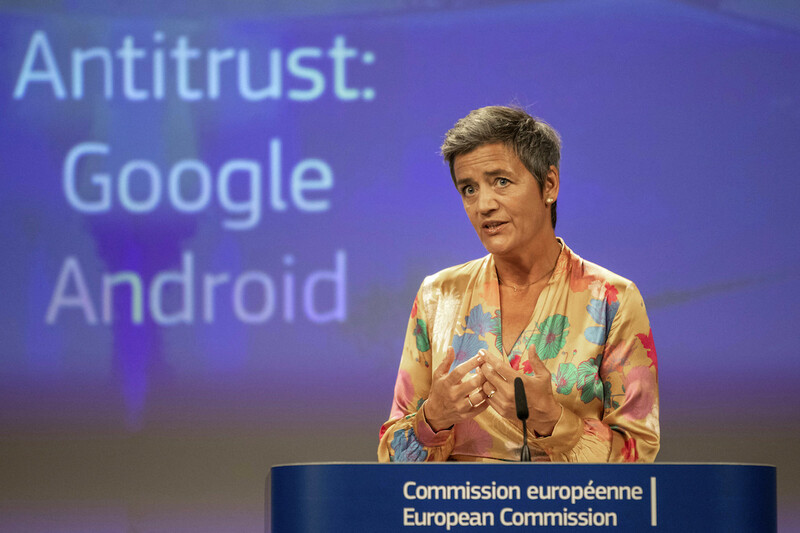 LOS ANGELES, CA – Consumer Watchdog today called on U.S. antitrust authorities to follow the lead of Europe’s top competition official, Margrethe Vestager, and take decisive action against Google for unfairly using its monopoly power on its Android operating system. Consumer Watchdog also today joined the Open Markets Institute, the Electronic Privacy Information Center (EPIC), the Center for Digital Democracy, and Fight for the Future in sending a letter to Vestager supporting her action. Vestager announced today that Google was being fined $5.1 billion (4.3 billion Euros) for abusing Android and its other mobile services to maintain its dominance in online search at the expense of rivals. Under U.S. law both the Federal Trade Commission and the Department of Justice have antitrust enforcement authority. Historically Google’s activities have been monitored by the FTC. In 2012 the FTC considered bring antitrust charges against Google for monopolizing search. Despite the recommendation of its staff, the Commission opted not to bring charges, instead settling for an agreement that Google would give online advertisers more flexibility to simultaneously manage ad campaigns on Google’s AdWords platform and on rival ad platforms; and to refrain from misappropriating online content from so-called “vertical” websites that focus on specific categories such as shopping or travel for use in its own vertical offerings. Meanwhile, the European Union has already fined Google $2.8 billion dollars for skewing search results to benefit its own shopping search service compared to those of rivals.